At Global Living Magazine we want to connect with our readers — know what you’re all about, what you love, where you’ve been and where you’re going. The best way to do this? Hear it straight from YOU! 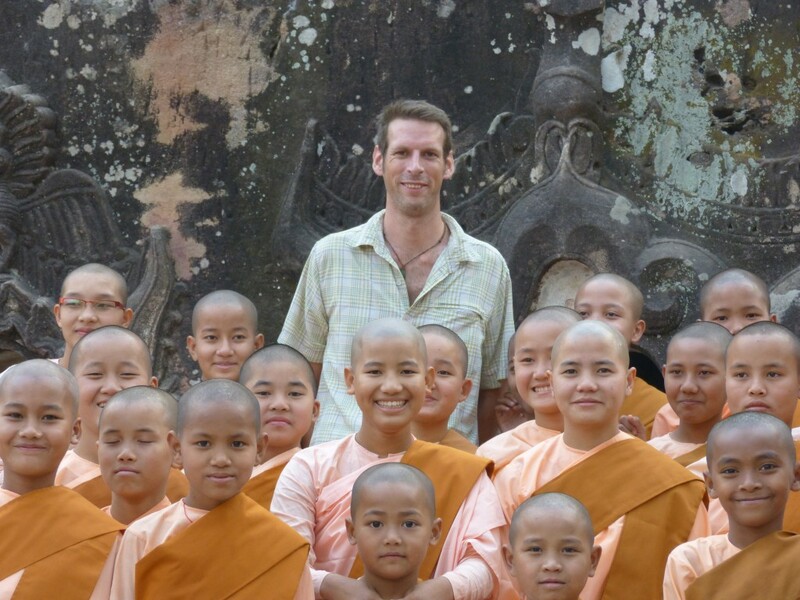 We received an email from expat Peter Jones, who was born and raised in the U.K., and has been raising his family in Cambodia for the past five years. When he’s not chasing his children, Jack and Mia, around their house in Siem Reap, he runs his travel company See Asia Differently. My favorite part of expat life in Cambodia is living a more balanced and rewarding life with my family. I was going to say more relaxed but running a business and with my children being three and one, life is far from relaxing; however our family couldn’t be happier. There’s always something going on and I feel we are giving our children the perfect start in life. From playing with the local kids on the street, to learning new languages and being exposed to different cultures. One challenge is that it can take time for expats to open up and trust you. Because Siem Reap has so many people who come and go, many expats are reluctant to invest time with someone if they know they’re about to leave. People are often judged by how long they will be here, which creates a tight community to break into. But once we developed good connections, we’ve had a very solid set of friends. Aside from the U.K., I lived in the Czech Republic for one month of the year with my wife’s family and we’ve lived in Cambodia for the past five years. I am happiest when I am traveling and I’ve visited South Africa, India, Nepal, Vietnam, Cambodia, Thailand, Laos, Burma, Malaysia, Singapore, Australia, Fiji, New Zealand, Central America, North America and of course lots of Europe to name just a few. My heart, however, has always been in Asia, but one of my favorite places has to be South Africa as the country has so many beautiful aspects and variety just like we get here in Asia. Where do you want to move eventually? We talk about this almost daily and it’s hard to say a definite location right now. We’ll definitely be in Asia for the next few years and afterwards, we’ll likely go to Australia or back to Europe for the children’s education. Another deciding factor is that our parents are getting older and we will want to be on hand to help them out if needed. Even when we move outside of Asia, I will still be coming back to this part of the world five or six times a year as our business is reliant on local knowledge. Our family is very fortunate to have three homes: The first is in England with my parents, the second is with my wife’s family in the Czech Republic, and our real home is in Cambodia where we spend 90% of our time. Of course it is wonderful to go back to Europe to see our families but I have my biggest family in Cambodia as we are very close to our local staff. Share anything you’d like us to hear. Since we moved to Asia, our friends and family have told us how brave we are to do what we’re doing. Yes, the initial decision to work and live abroad was daunting at first, but it becomes very normal very quickly. You don’t have to be as brave as you think and I recommend taking the plunge, escaping the rat race and give expatriate life a try. Too many people get caught in a vicious circle with mortgages, unsatisfying jobs and the security of friends. I promise that all of those aspects will be there when you return so don’t use them as an excuse to not explore the world. Follow See Asia Differently on Twitter at @SeeAsiaTravel and visit their website www.SeeAsiaDifferently.com for more information. 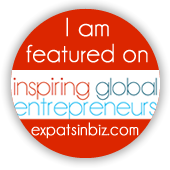 If you’d like to be featured on our ‘My Expat Story’ section, send an email to us at info@globallivingmagazine.com and tell us about your experience as an expatriate by answering the above questions. Don’t forget to include your Twitter handle so we can help you connect with other expats from around the world!